When an employee notices fraud and embezzlement within a company, it’s usually too late. Funds have been moved elsewhere and those funds can’t always be recovered. Fortunately, with forensic audit, not only do your chances of recovering the money increase, you could actually catch it fairly early. We’d like to think that we can trust all of our employees, but that’s not always the case. When companies do not have proper controls in place and rely heavily on their employees, your company’s assets are exposed. So what exactly happens during a forensic audit? Forensic accounting is used to analyze financial information to detect fraud or embezzlement. 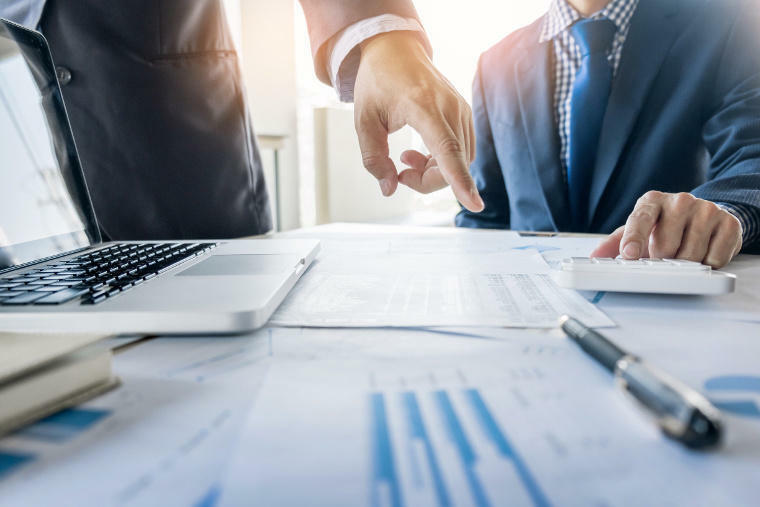 When done properly, it can provide several benefits that include solving financial crimes, keeping professionals accountable, and detecting financial anomalies. The actual analysis will range greatly depending on the issue but could involve calculating damages, tracing stolen assets, and using charts and graphics to further explain their findings. Fraud and embezzlement aren’t the only issues a business can face. 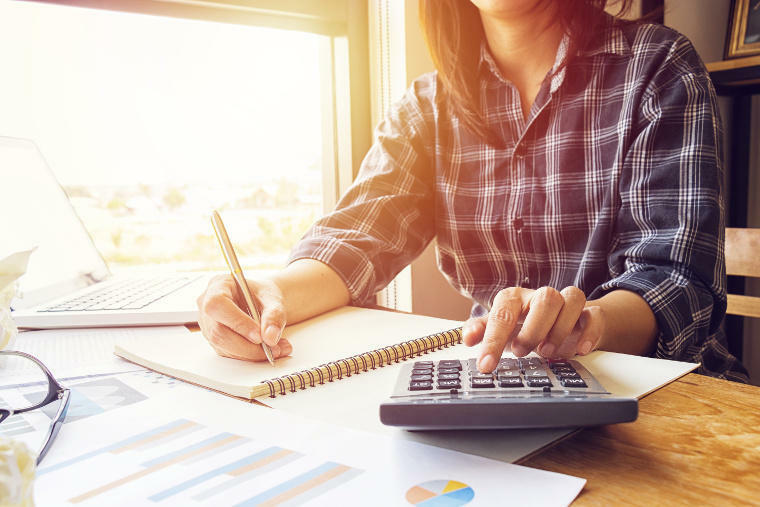 CPA services can also be used to learn if you’re pricing models are profitable, filling in C-level gaps during times of need, and raising new capital for expansions or improvements. 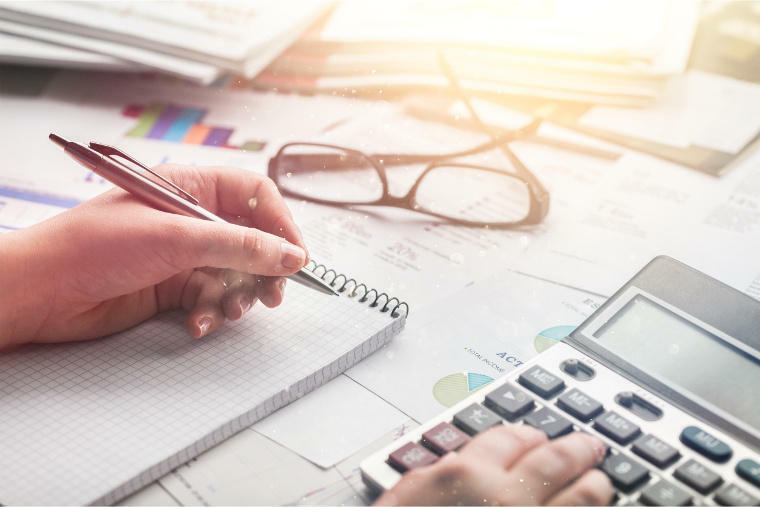 No matter your accounting need, BIG has a service that can get your business from point A to point B.
Forensic accounting can be used to uncover fraud and embezzlement before it’s too late. 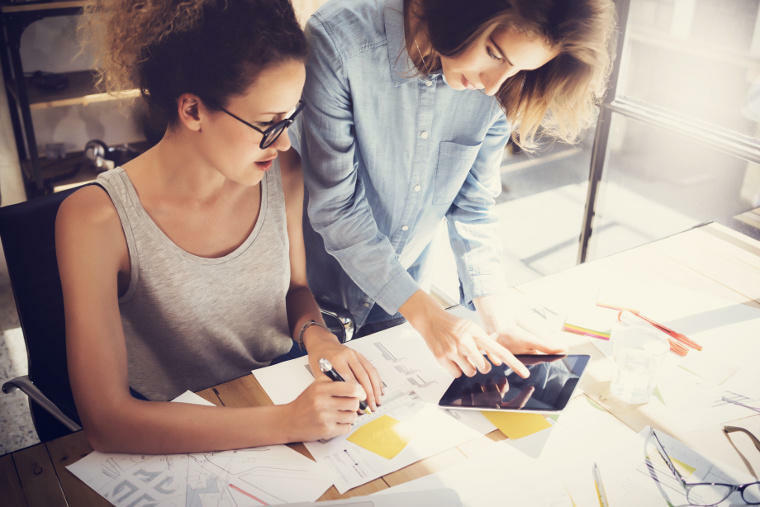 Choosing the right business structure is key to making the most out of your small business. It can be difficult to decide what type of entity to register as. The most common types of entities include sole proprietorships, partnerships, corporations and limited liability companies. Read up on our cheat sheets to decide what the best type of business entity is right for your business. A sole proprietor owns an unincorporated business by him or herself. A partnership is a relationship existing between two or more people who come together to create or carry on a business. Each individual contributes property, labor, money or skill and has a share in the profits or losses. S-corporations are corporations that elect to pass corporate income, losses and deductions to their shareholders for federal taxes. In a corporation, shareholders exchange money and property and can take special tax deductions. A corporation distributes profits to shareholders and recognizes net income or loss. This is a business structure where owners are called members and allowed by state statute. No matter what type of business entity you are interested in or that is the best fit, our experienced team here at BIG can help you get started. Being a young adult is hard. Transitioning to being financially independent is even more difficult. Here are some financial tips that young adults need to follow in order to be financially set for years to come. Credit cards are great for emergency purposes and those “must have” items. But the bill that comes at the end of the month isn’t so great. Even though impulsively buying those clothes or furniture seems like a good idea, waiting to spend that kind of money once you can pay off the bill right away is an even better idea. As a young adult, it’s easy to take other’s advice on your personal finances. However, they often don’t truly know your financial situation. Take some time to read a financial planning book or meet with a financial planner. This way you will be ready for anything that is thrown at you. Whether you are right out of college or in your mid to late 20s, it is crucial to not outspend your income. Making a monthly budget is the easiest way to know exactly where every dollar is going. Most young adults have moved out on their own and start their career. With that being said, emergencies happen and you have to be able to take care of those financially. Once you have your bills sorted out, create a savings account that is only for emergencies. Not only will you be able to access this money in case of emergency, but you will gain interest. It is never too early to start saving for your future. The earlier you begin saving, the more money you will have to live off of when it comes time to retire. Whether you take advantage of your company’s retirement benefit program or save on your own, it’s important to start saving early. Fully understanding income taxes can be difficult especially as a young adult. When you’re offered a salary at your job, being able to calculate how much of that will go to taxes and how much you will actually receive is important. As summer comes to a close, the fourth quarter is upon us. Often times, businesses stress out about how to successfully close out the year. There are many things businesses of all sizes can do to prepare for the fourth quarter. The fourth quarter is the perfect time to try and clear out your inventory and increase revenue. Using your social media channels to share holiday specials or new promotions will gain you both exposure and potentially more sales. Also, use your social media to drive customers to your website. There, you can gain insight about your customers, encourage them to purchase your product or service and simply increase brand awareness. Ensuring your marketing campaign is top notch will help you in this upcoming quarter. The holiday’s round out the fourth quarter and for many companies, this is where the most money is made. For small businesses, take this time to highlight what makes small businesses better for holiday shopping. For all of the large businesses, use the holidays as a big push for your products that are being discontinued. There will always be people taking big holiday shopping trips so use this season to really sell your product or service. Providing customers with great deals or promotions never hurts either. During this time, review all of your business's expenses. This could range from mileage to employee spending. Decide which ones were necessary and which ones could be cut back in the next year. This is the time to cut costs so expense evaluation will make you more prepared going forward. Before the fourth quarter begins, set your company goals for the end of the year and the upcoming year. This includes revenue. How much do you want your company or business to make in the next year? These goals could also include benchmarks. How many customers would you like to gain or what’s your ideal ROI? Once you have these goals set, decided what steps you need to take as an organization to reach those goals. Discussing all of these things will help you get ready for what’s to come. This busy time of the year can be stressful for employees. Take time before the last quarter begins to train your team members on new strategies, give them insight on what is to come and be sure to give them the necessary tools to close out the year strong. The fourth quarter can be the most crucial time of the year. Following these steps with make sure your company is ready to take on the last quarter head on.